It’s no secret that my enthusiasm for the Grammys and other award shows has waned over the last few years. Nominees have been either very predictable or very unworthy, and instead of trying to make sense of it all I try to just ignore them. This Friday, the nominees for the 56th Annual Grammy’s were announced and it seems like the academy is trying to turn things around. I have to admit that while scrolling through the list, I caught myself smiling and very proud of the nominees (even some of the snubs). This year seems to be a really great mix of artists with actual talent who deserve the extra Grammy shine, instead of the Academy favoring the biggest selling artists of the year just because they’re popular. Mainly, and selfishly I’m sure, what made me smile the most was that I was seeing some of my favorite music of the year up for big awards, which normally doesn’t happen. So instead of going through the full list of nominees, let’s start with the ones that genuinely made me smile. Daft Punk and Kendrick Lamar for Album of the Year. “Random Access Memories” was easily one of my favorite albums of the year. I expected Daft Punk’s huge hit single “Get Lucky” to get lots of Grammy love, but didn’t expect the album to be in the Top category. Even though it is truly deserving, Grammy’s tend to relegate Electronic music to their own specific category, so I was pleased to see the album being appreciated among the rest of the great artists. 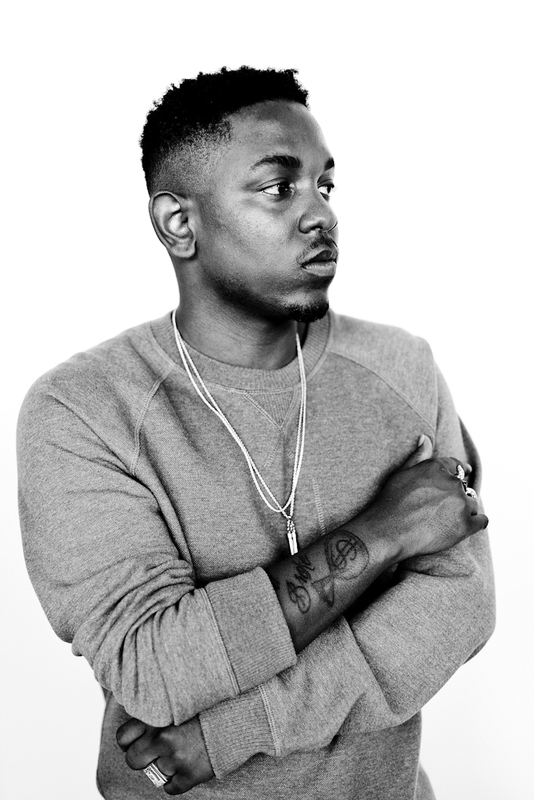 I was happy to see Kendrick Lamar up for Album of the Year category simply because I think he’s awesome. There hasn’t been a Hip Hop Album from a new, fresh, young artist like Kendrick up for this Top award in a long time, so it was nice to see and he’s definitely the one who deserves to break that pattern. James Blake, Kendrick Lamar and Ed Sheeran for New Artist. Grammy’s never seem to get this category right. James Blake and Ed Sheeran are nowhere near NEW artists as Blake released his second full length album this year, and Sheeran’s “+” album has been available since 2011, and he was nominated for Song of the Year last year. The weird criteria for this category is confusing, but they are both great artists and very deserving of their nominations. And again, I just like Kendrick and he has a great shot at actually winning this prize. The Snubbing of Justin Timberlake. It was expected that Justin Timberlake would lead the list of nominees this year, he had the best selling album through most of the year, and is a Grammy darling. He racked up 7 total, which is great, but he didn’t find himself in any of the Top categories. His first album not to be nominated for Album of the Year. While it’s surprising, I personally feel like the snubbing is “Justified” so to speak. “The 20/20 Experience” album was hardly anything groundbreaking, and even though plenty of undeserving Albums have been nominated in this category, I’m glad at least this one didn’t get through. I feel this is the Grammy’s trending away from giving nominations to the popular, top-selling hits and being more critical about the actual material. Jack White‘s “I’m Shakin” for Rock Performance. Just because I love this song. It rocks! “The Next Day“, David Bowie’s first album in 10 years, was great in that it was current but also paid tribute to the amazing career he has had. Many are complaining that the Rock categories are filled up with too many “older” acts, but I feel that both of Bowie’s nominations for Rock Album and Rock Performance are well deserved, even if he’s probably not going to win. 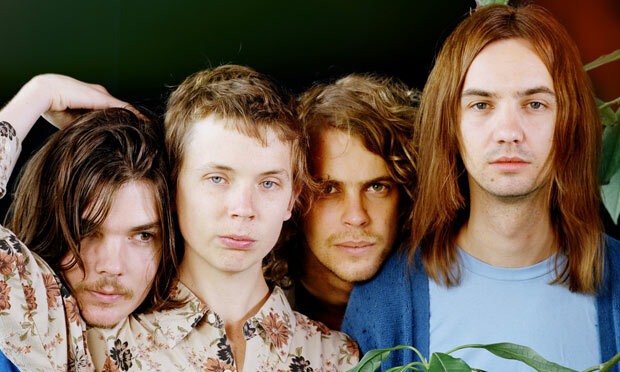 “Lonerism” is an amazing album, but Tame Impala are one of those groups that I think may be TOO underground to get the attention of Grammy voters. Luckily that’s not the case this year as the group get their very first Grammy nomination for Alternative Album. When I saw their name I actually did a double take before I smiled, they probably have little chance of winning but I’m happy to see them being recognized for a great piece of work. I was also happy to see Vampire Weekend in this category, specifically because I felt “Modern Vampires of the City” should have been up for Album of the Year and I thought they might have been ignored altogether. This one nomination is fine, and knowing they have a good chance of winning it is ever better, but I feel they got snubbed in some of the bigger categories. If not Album of the Year, than “Diane Young”, one of the most fun and clever songs of the year, should have gotten Record of Song of the year. It’s no secret that I’m a bit of a #Tamartian, and I’ve been loving Tamar’s “Love and War” album since it came out. I was hoping she would be a sure thing for Contemporary R&B Album, but you can never be too sure. When I saw that she grabbed three nominations in the R&B categories I was ecstatic. Braxton is up for R&B Performance and R&B Song for “Love and War” and Contemporary R&B Album (which I personally think she should win, but who knows how that will play out). “Without Me“, the track from Fantasia’s nominated album “Side Effects of You“, was such a banger when I first heard it, I thought it was destined to be a massive urban hit. Months later with a peak of only #26 on the R&B chart I feared the song was totally ignored, so I was glad to see this collaboration with Kelly Rowland and Missy Elliott up for an award. Scrolling through the nominee list I was surprised when I didn’t see Kanye West listed much, so I was happy to see him get at least Rap Album (he’s also up for Rap Performance for “New Slaves”). He’s been nominated and won in this category for every single album he’s put out. He might not win, but it’s nice to see his most daring and risky album wasn’t ignored or under-appreciated because of his other antics. Pharrell Williams for Producer of the Year. 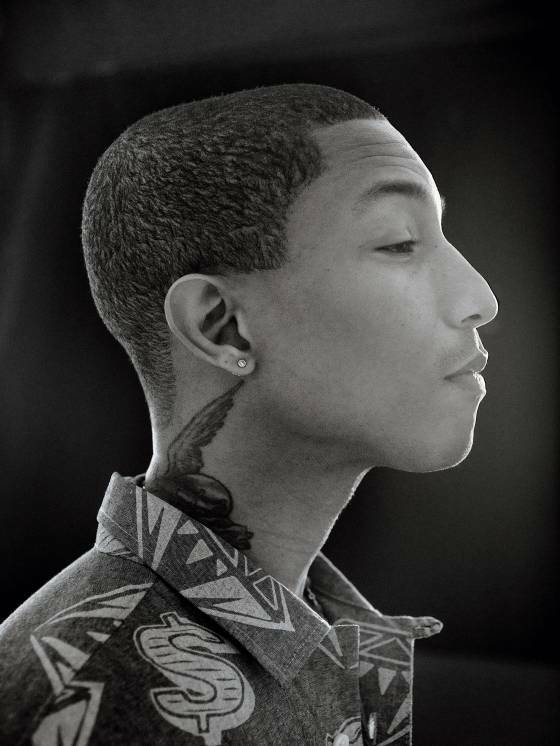 This nomination was a bit of a no-brainer, Pharrell was responsible for two of the biggest hits this year and regained a lot of relevancy as an in-demand producer. We just have to think back to the early 2000’s when The Neptunes were making hit after hit and were continually ignored by the Grammys. Those past snubs worried me about his chances this year, but sure enough he was there and set to win this trophy. Capital Cities “Safe and Sound” for best Music Video. I just recently saw the “Safe and Sound” video a few weeks ago at a bar, and it sort of blew my mind. The video is a time traveling, upbeat, fun, visually engaging video with lots of dancing that makes you laugh and makes your jaw drop. I’m very happy to see it in it’s deserved place as one of the best videos of the year. Overall, I don’t have that many complaints which is a refreshing feeling around Grammy time. I would have loved to see Alt-J, Solange, Beach House or K Michelle among others nominated, but I wasn’t really expecting it. I was surprised that Janelle Monae and Phoenix didn’t get any nominations at all. I also thought very highly of The Strokes‘ latest album, but it, like all of their previous work, was ignored. 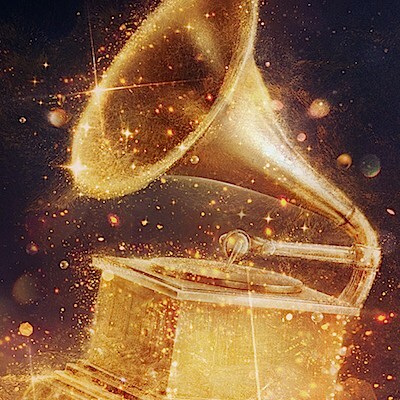 In the end, this years’ nominees have somewhat restored my faith in the Grammy system, and I may even do a Prediction blog post as the awards come closer. I’m most happy that my musical favorites are being recognized this year, so maybe I DO know what I’m talking about. The 2013 MTV Video Music Award nominations were announced yesterday. And since I don’t really watch videos, and I loathe one of the top nominees Macklemore & Ryan Lewis I didn’t even bother to look at the list. That, and the fact that a lot of times the MTV VMA’s just nominate and award the Popular acts of the year and not the best Videos (read this). Sometimes though, they get it right. And this Top 10 is to celebrate those videos that in my opinion were worthy of the Top prize. Missy became known for her crazy videos, and FINALLY the MTV Awards gave her the top prize. And this IS one of her craziest videos so it’s fitting. GaGa came on the Pop landscape and out-Britney’d Britney! This is the kind of video Britney’s handlers would NEVER allow her to make, with all the typical pop confections (killer choreography, sleek sets and images, and beauty shots gallore) but with an added edge. MTV was gonna give GaGa the top prize at some point, and this is the deserving video. A really haunting, dark, intense video that spoke to the times. Pearl Jam was battling Anti-Bullying before it became the “In” thing to do. Great video and it matches the song perfectly. I’ve said far too much about this video already, but let me just say it gives me chills every time I watch it. Such a heartbreaking story of Young Love. The year this video came out, EVERYBODY was hypnotized by it. Jay Kay is doing what he does best, he had canned heat in his heels and he had to dance it off. And the sort of “treadmill” effect added a whole new trippy element to make this a worthy Video of the Year. This was the beginning of Aerosmith and Alicia Silverstone’s 90’s love affair. Like “We Found Love” it chronicles a sincere but dangerous love affair ending in one of the funniest “F You’s” in Music Video history. Well, Kanye said it right “Beyonce had one of the best videos of ALL TIME”. The now iconic look, the much-copied choreography and the amazing editing and camera work make this a true Classic. Not much to say really, this is just one of THE most FUN videos ever. Sometimes it feels like this video is underrated, but rest assured it’s Amazing. And so very detailed in the comparison of 90’s and 60’s Black youth, every shot is perfectly done and the song and video really say something important that not a lot of Video of the Year winners do. This remains one of the, if not THE, Best videos of the 1980’s. Gabriel blew peoples minds with this one. And even now with technology being greatly improved, it’s still so captivating and hypnotic.